In a recent interview, Hugh Grant has claimed that his daughter’s mother Chinese actress Tinglan Hong has been “badly treated” by the media. Hugh Grant, 51, said that press intrusion prevented him from attending the birth of his baby girl Tabitha in September 2011. Tinglan Hong later obtained an injunction which allows Hugh Grant to visit her and baby Tabitha in peace. Justice Tugendhat said at the time that Tinglan Hong felt that she could not leave her home without being followed and hassled by photographers. “Had we not got the injunction, I’m sure she’d be in China by now,” Hugh Grant said. Hugh Grant will next be seen in The Pirates! In An Adventure With Scientists, which opens on March 28 in the UK and April 27 in the US. 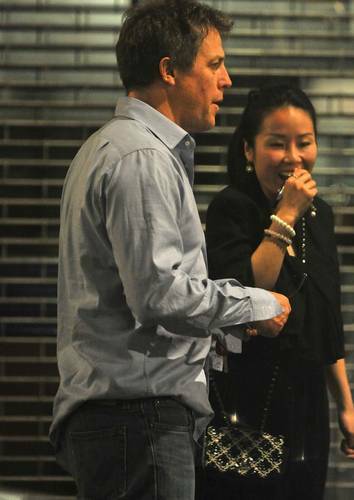 hugh grant tabitha tinglan hong.